PRESCOTT, Wis. — Ptacek’s IGA broke the world’s record for the longest bratwurst featured at a celebration that marked the family-owned store’s 100th anniversary. 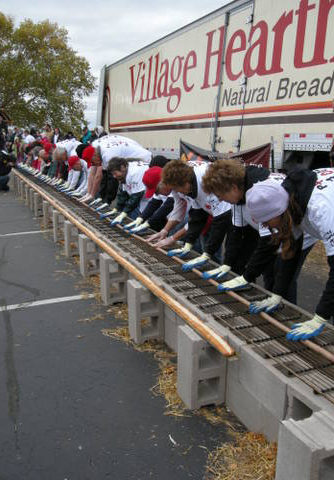 The bratwurst, made in the store’s meat processing department, measured 52 feet and two inches. Why not 100 feet to commemorate the Ptacek family’s 100th year in business? The bun was the problem. The sausage’s length had to match the length of the longest bun the company could get. “The bun had to fit in a semi. Laid corner to corner, 52 feet and two inches was the longest bun that would fit,” said Patrick Ptacek, co-owner — with his father and his siblings — of the 20,000-square-foot store. Read the entire filling story at Supermarket News. 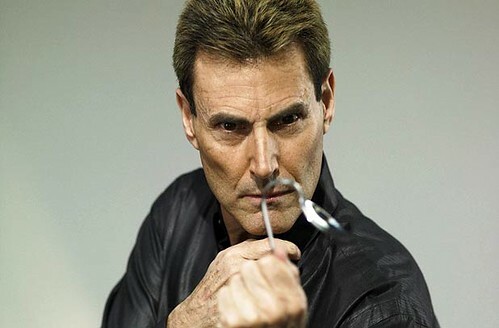 As we load up on mustard, we might send eerie birthday greetings to Uri Geller; he was born on this date in 1946. A performer who purported to demonstrate psychokinesis and telepathy, Geller’s trademark act was bending a spoon “with his mind.” For most of his career, Geller insisted these effects were achieved via physic abilities. Critics like James “The Amazing” Randi scoffed at his claims, accusing Geller of passing off magic tricks as paranormal displays; indeed, Randi often duplicated Geller’s performances using altogether “normal” (if amazing) stage illusions. More recently, Geller has taken to characterizing himself as a “mystifier” and entertainer.